Our weather has been absolutely balmy, at least for Northern WI. It was 43 degrees F. today. 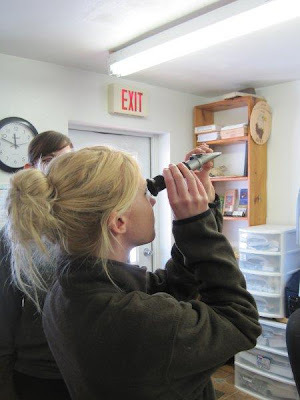 It's time to move birds that have been inside all winter to their outdoor quarters. Today was a good day for "Coyote", the adult male Bald Eagle admitted in late January after having been trapped in heavy steel jaw traps meant for coyotes. He has been inside, first in intensive care and then in transitional care enclosures since being that time. Circulation is compromised in jaw trap injuries. It is the nature of the injury. 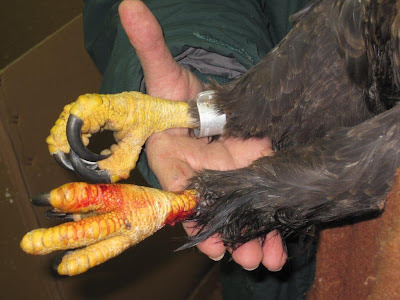 Birds suffering this type of injury must stay in a warm environment to facilitate the healing. We will watch Coyote very carefully now that he is outside. If he suffers a set back with his leg, he could lose it. That fact puts our staff on high alert. Everything checked out. 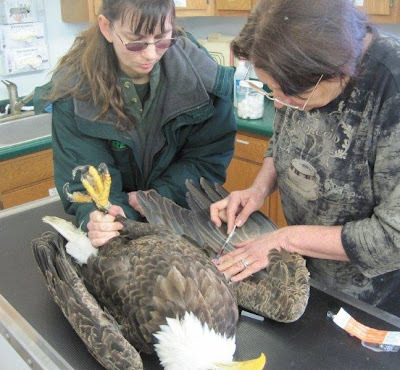 Coyote was put into the huge eagle flight building. 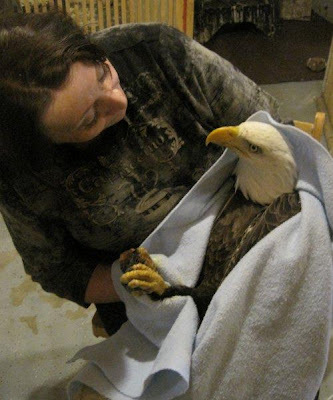 Not only will be be with other eagles now, but this is where he will be until he is released to the wild. He has already started working on rebuilding his flight muscles. It will be awhile before "Coyote" can be released, but at least his future looks brighter now. We are very excited and so is he! 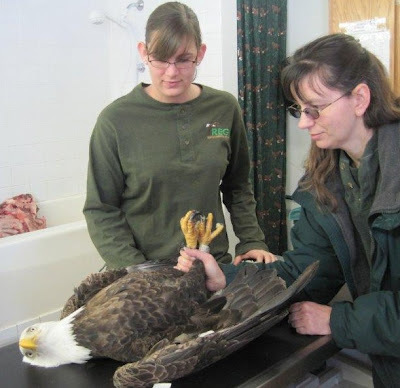 The release of this Bald Eagle will be monitored . We want to make sure his mate has not found a new male in his absense. She should be waiting, but it does not always work out that way. Humans don't have a corner on the market to drama in relationships. Birds have plenty as well. 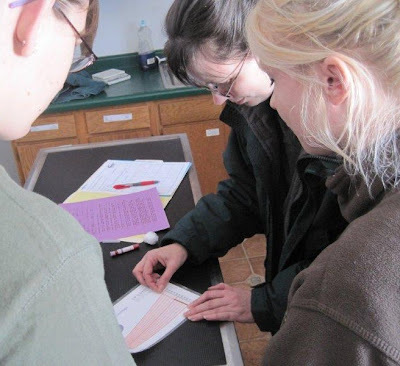 Tomorrow we will do the final packing for the International Festival of Owls in Houston, MN. If you attend come on up and say hi.